Let me tell you about the most difficult client I’ve ever met. He was the owner of a muffin store. For the sake of privacy, we’ll call him ‘Brad’. My former agency did everything he’d paid for down to a ‘T’ - we delivered great results, on time and on budget. But it wasn’t enough for Brad. He wanted more. My agency’s account managers explained that we couldn’t give him free bonuses, and he’d have to pay extra. Brad was so angry that he stormed into our office the next day (without a scheduled meeting) and demanded to see the CEO. Horror ensued. Brad started screaming at a deafeningly loud level. Three different managers had to step in and diffuse the situation. He was on his feet shaking his fist, two of my co-workers were sobbing, and five minutes later a tray of baked goods went flying across the room. I’ve never looked at muffins the same way since. Every agency will encounter emotional or difficult clients at some point. Luckily there are psychological strategies to help you manage and diffuse these situations. Follow these 7 steps to calm your hot-headed clients, and hopefully you’ll avoid obscenities and flying objects. This is the Number 1 rule to remember when dealing with a hot-headed client. Stay calm, and never let your own feelings spiral out of control. 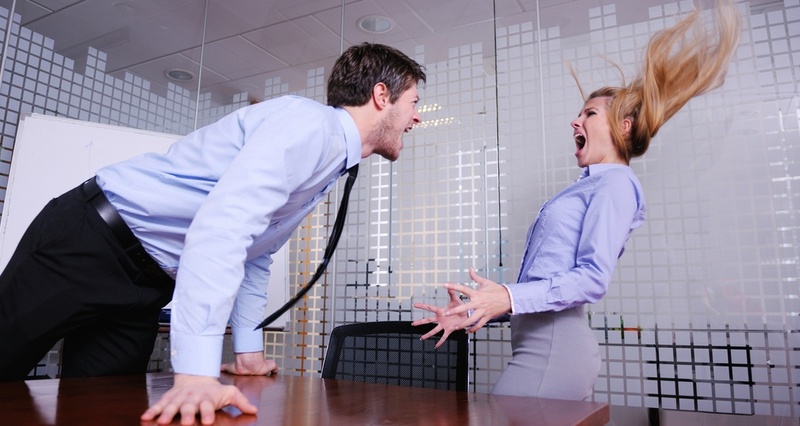 Responding to your client emotionally or angrily is only going to escalate the situation. If you feel tense take a few deep breaths, keeping a slow and steady rhythm. It’s ok to wait a moment and collect yourself rather than responding immediately. Remember not to take your client's behaviour as a personal offense. They might be under pressure from a tough boss, they could be having personal problems at home, or maybe they're just having a horrible day. Whatever the reason, try not to be offended - you never know their exact situation. When someone is firing aggressive or emotive language at you, it’s easy to roll your eyes and dismiss them as crazy. But disregarding a client’s feelings will only inflame them more. Often just acknowledging their feelings will be enough to calm them down. If the red mist has descended and the client is raging, yelling insults or failing to control their emotions...you need to have patience. Wait it out. If you attempt to argue with them in this state no logic is going to break through. 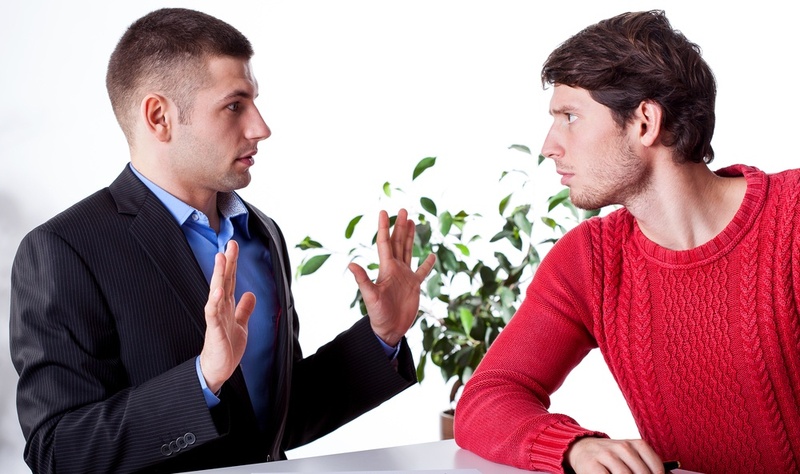 Try to let your client get their feelings off their chest without interrupting. Avoid telling them to calm down - this can feel extremely patronising, and will often have the opposite effect. If things have really escalated politely suggest taking a ten minute breather. Ask if they would a like a glass of water or coffee, or if they’d prefer to reconvene on another day. Try not to judge them for things said in the heat of the moment. While it’s important to placate an angry or emotional client, you should also take their comments on board. Do they have a valid reason to be so distressed? Why do they feel let down by your business? Were your initial promises or communications misleading? In the case of Brad the muffin man, we eventually realised one of our over-zealous sales people had promised him a heap of extras beyond the scope of the project. He felt betrayed by these broken promises. Active listening means really stopping and digesting the words your client says. If you’re simply imagining your rebuttal while they talk, that’s not active listening. By really listening to your client’s problems you may discover ways to improve your service, business processes and communication going forward. Try to find some common ground early in the conversation. If you only focus on the point of disagreement, your client will feel like they’re banging their head against a brick wall. Establishing that you have things in common can help generate feelings of empathy and understanding. You don’t want to be at loggerheads for the whole conversation. When tensions are running high it’s easy to get off topic, or end up discussing tangential details. Anecdotes or argumentative statements can quickly veer the meeting off course. To keep things on track make sure you bring a written agenda to the meeting. You should also have all relevant paperwork at hand - your signed contract, previous written communication, and a timeline of events up to the present. Having these facts at hand will help you establish control of the conversation. Use the paperwork to back up your position, especially the formal contract. If they ignore these written points calmly repeat them until they sink in. Make it clear that you will not budge on factual information. Always conclude the meeting with a concrete plan for moving forward, and email a summary of this to the client. This means the meeting outcome can’t be disputed. Include timeframes and specifics. If you didn’t manage to reach a mutually agreeable solution, make sure you set a date for a follow-up meeting. Or if you prefer, tell your client you will send them a proposal within a strictly specified deadline (e.g. 48 hours). It’s crucial to schedule every step forward, so you keep momentum and nothing gets forgotten. Remember that it’s in your own interest to deal with unhappy clients as fast as possible. The longer the disagreement drags on, the more likely the client will complain publicly or leave negative reviews of your business. Following these steps will help to resolve most conflicts. But the best approach is to avoid difficult clients in the first place! Have you ever experienced a bad gut feeling when meeting a new client? Your stomach forms a little knot when their name pops up in your inbox. We all find it hard to say no to potential new business, but often it’s better to act on your intuition. The most difficult clients aren’t worth it because of the profits they’ll cost you in the long run. Asking for a discount. A client trying to wrangle down your standard rates is usually a bad sign. It means they don’t respect the true value of your work and may try to squeeze freebies out of you later on. Being vague about requirements. Sometimes a client can’t give you any solid details or requirements but still expects a quote. This suggests they’re not serious about the project, don’t know their own goals, or simply expect you to work miracles. Reluctance to pay a deposit. If you’ve explained your payment process but they’re reluctant or fidgety about paying a deposit, this is a red flag for obvious reasons. You’re likely to end up chasing invoices down the line. Your gut intuition. Sometimes it’s nothing specific they’ve said - just a knot in your stomach saying you shouldn't work with them. In my experience this feeling is almost always correct. If your gut is screaming at you to run… run. Meeting with a client is like going on a date. Both parties should feel positive about progressing the relationship. If you have concerns from the outset, tell them you don’t have the capacity to take them on, or you don’t think your services are suited to their needs. What are your best tips for dealing with emotional or angry clients? We’d love to hear your thoughts.